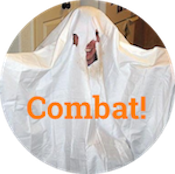 buffett rule Archives - Combat! 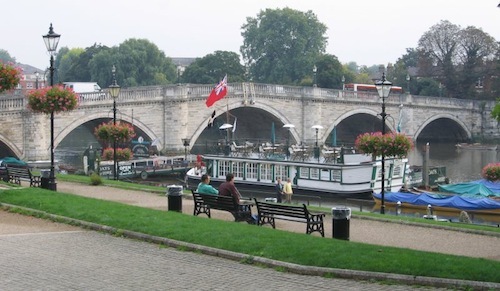 The Richmond Bridge in London: funded with a tontine and has not fallen down. Coincidence? Yesterday I got to reading Bruce Bartlett’s editorial in the Times, wherein he laments House Republicans’ passage of a bill advocating voluntary taxation. It’s not going to turn into anything; we’re talking about Congress, here. If it were a real law, though, HR 6410 would allow taxpayers to designate a contribution in addition to the liability on their returns for the purposes of deficit reduction. The IRS already has a fund for accepting gifts, so practically this bill that won’t become a law will not have changed anything if it does. It is called The Buffett Rule Act of 2012. 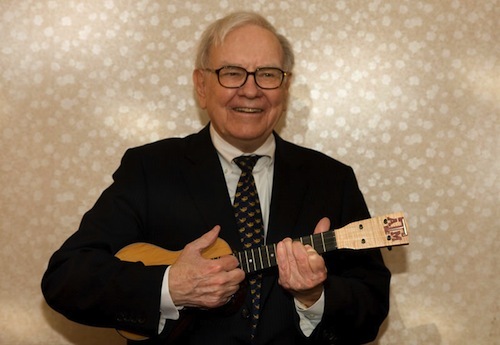 Warren Buffett plays the ukelele for some reason. Just in time for tax season, the Senate has blocked the so-called Buffett Rule, which would have required households earning more than $1 million annually to pay an effective tax rate of 30%. The vote went off at 51 for and 45 against, which means it’s dead in the new, everything-will-be-filibustered Senate. Meanwhile, the party whose ideology naturally aligns with stalemate pushed its own bill to allow business owners to deduct 20% of their income next year—a plan whose benefits would go overwhelmingly to high-income households, according to the Tax Policy Center. Also meanwhile, I paid my taxes. I gave back 29% of my income from 2011, as compared with the Obamas’ 20.5% and the Romneys’ estimated 15.4%. I am the only person in this paragraph who is not a millionaire. You're telling me there were people above him that entire time? Every year I watch the State of the Union Address, and every year I expect something amazing to happen: the President announces that he has nationalized Canada’s oil industry, for example, or says that he has a new position on gun control and then tears off his shirt to flex his biceps. 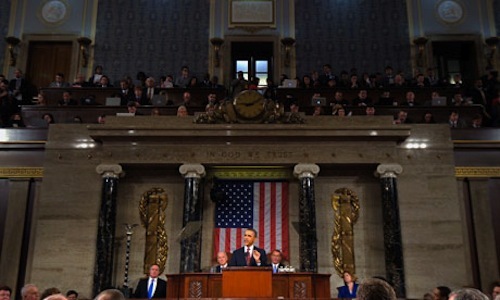 The President turns to John Boehner, smiles, and calmly pushes his speaker gavel off the edge of the desk. Shockingly, none of that happened last night. It sort of looked like Joe Biden had a cold, and someone in the audience began either booing or shouting “Bruce!” at the proposal to ban insider trading by members of Congress. Also the President declared class war, but more on that later. First we have amusing screen caps. For the last several months it’s been showing up in Facebook comments and Boehner aides, but you almost never heard it from an actual congressman’s actual mouth until this weekend: class warfare. That’s what the Republican Party is calling Obama’s new jobs/deficit plan, with terrifying synchronization. “Class warfare may make for really good politics, but it makes for rotten economics,” Paul Ryan said on Fox News this weekend. “We don’t need a system that seeks to prey on people’s fear, envy and anxiety.” You can tell the GOP is scared about this, because Paul Ryan is talking. He’s the guy they get to tell the American people stuff we won’t want to hear, and they picked him the same way a carload of drunk frat boys decides who’s going to go knock on the door after they run over a dog. 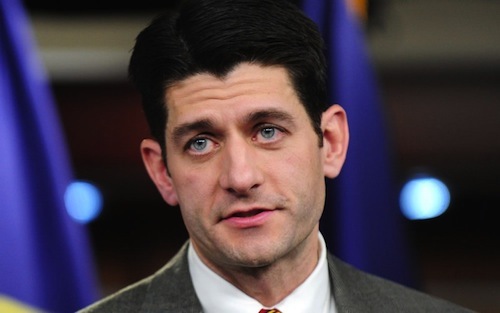 He’s handsome, at least by GOP standards. That’s good, because in this analogy, about 65% of America is the dog.